Old West Reproductions — the Devil is in the Detail For four decades Rick Bachman has crafted museum-quality, frontier-era gunleather that looks and feels like the real thing. 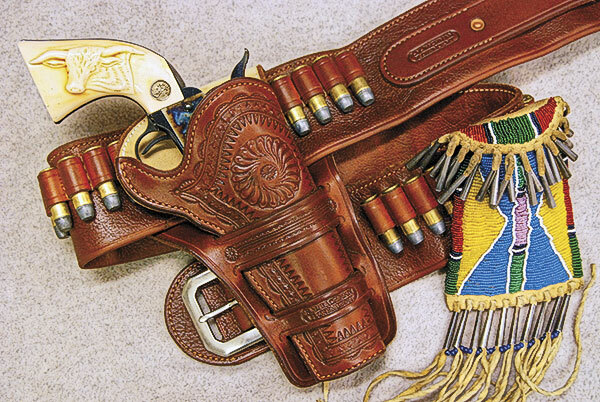 Old West Reproductions takes pride in re-creating frontier-era gunleather that looks and feels exactly like what was made 100 to 150 years ago. Among the very best companies offering replicas of mid-to late-19th-century assorted cowboy gear is Old West Reproductions, Inc., in Florence, Montana, an enterprise owned and operated by artisan Rick Bachman. 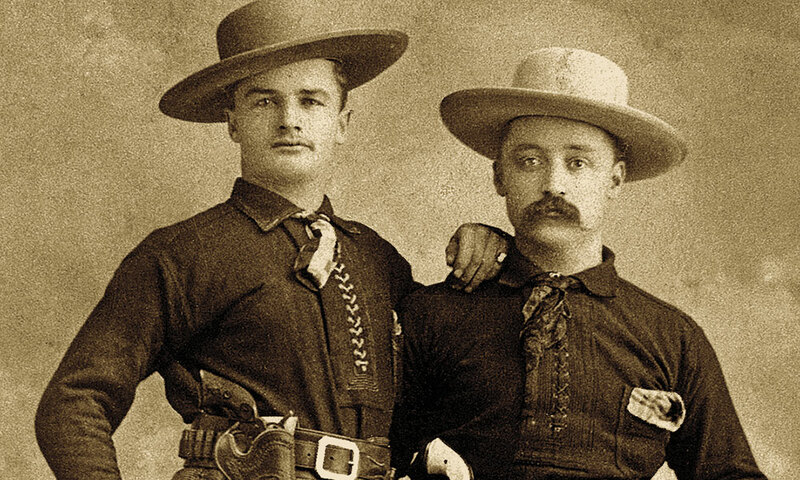 Owner/operator Rick Bachman’s handiwork is evidenced by comparing his rig in the color photo to the above 1880s photo of two Cheyenne, Wyoming Territory, gents brandishing their holsters and money belt/cartridge belts (probably made by F.A. 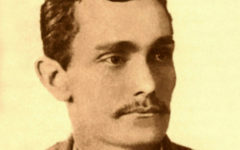 Meanea). Bachman has been producing the finest handcrafted, yet commercially available, Old West-style gunleather along with an assortment of modern holsters, since he started his one-man company back in 1978. One of the signatures of Old West Reproductions’ holsters and gunbelts is the exact duplication of hand carving styles of the 19th century, such as this exquisite example of a California-style, “Slim Jim” holster, made to conform to an 1851 Navy Colt revolver. Like many other craftsmen, Bachman started making authentic reproductions out of necessity. As a collector and shooter of frontier-era six-guns and other vintage firearms, Bachman favored using original holsters, but because they are rare and sometimes fragile due to age, he realized that putting them to work was not the best idea. In 1976 he decided to try his hand at reproducing frontier gunleather. To his surprise, his first attempt turned out to be quite pleasing. Eventually, after turning out a number of holsters and gunbelts for his own use, he realized that there was a market for his leather working. This Old West Reproductions clone of an F.A. Meanea-style Mexican Loop holster and calfskin folded leather money belt/cartridge belt features the famed Cheyenne, Wyoming Territory, saddler’s handsome carving style meticulously handcrafted by Rick Bachman. Examples from Bachman’s collection of antique gunleather, along with his replica work are showcased in the classic volume Packing Iron, Gunleather of the Frontier West. Bachman recalls, “In 1978, I took the leap of faith, quit my job and started Old West Reproductions.” By 1983, rather than relying solely on word-of-mouth, Bachman and his wife, Leslie, printed their first catalog. However, because of the difficulties in keeping a printed catalog up to date, they eventually switched to the Internet around 2010, allowing Rick to take full-color photos of his gunleather, and present them with information in just a few minutes. Now at age 68, and as passionate as he’s ever been about collecting and reproducing authentic 19th- and early 20th-century gunleather, ranging from derringer-type pocket rigs to extra-long “Buntline” holsters, and cowboy gear, such as cuffs, spur leathers, saddle pockets, pommel bags, rifle scabbards and more, Bachman says he’s still a one-man shop. 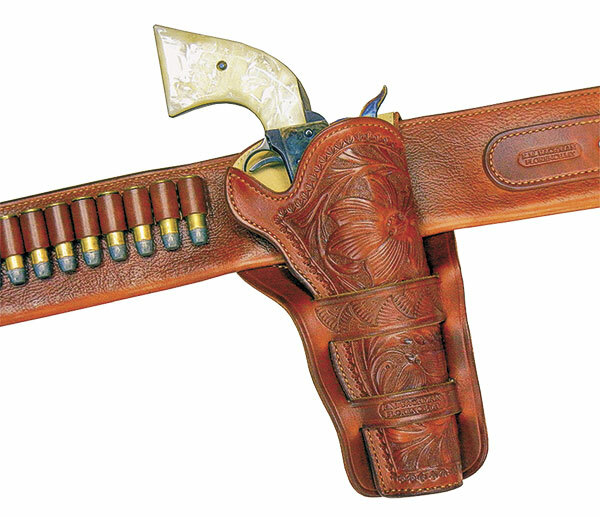 Whether you want an exact copy of a 19th-century-style plain, stamp-tooled, or carved holster and money-type gunbelt (above), or something more reminiscent of the turn of the last century and the silent movie-era (seen below), complete with flashy harness spot decor, Old West Reproductions can handcraft a rig to suit your pistol. Each piece is a copy of an original. Bachman’s 19th-century holsters clone Mexican Loops made by F.A. Meanea, E.L. Gallatin and J.S. Collins in Cheyenne, Wyoming; E. Goettlich in Helena, Montana; Newton Porter of Phoenix, Arizona Territory; and other historical makers. 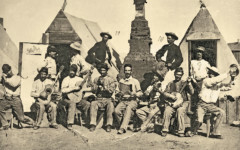 Bachman’s California-pattern percussion holsters are copies of San Francisco’s Main & Winchester, John Moore of Independence, Missouri, and other “Slim Jim” types. 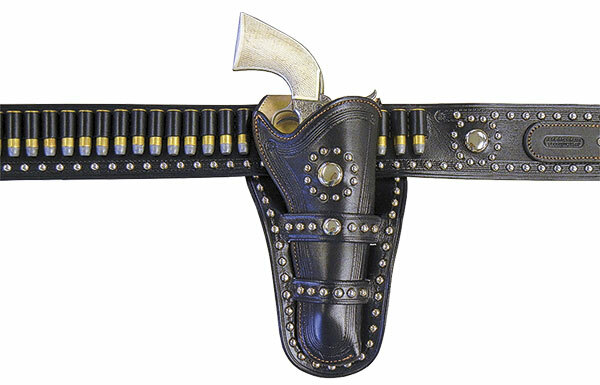 Gunbelts can be made for 1850s-’60s percussion six-gun holsters, 1870s-’80s-style single thickness cartridge belts, 1880s-’90s folded money belt/cartridge belts and double row (two rows of cartridge loops) money belts. Quality is foremost and Bachman is his own critic, demanding the very best. He says, “The devil is in the detail,” and prides himself on the fact that he doesn’t overlook even the smallest element in any rig. Undoubtedly, this, along with his exceptional leather working talent, is the reason Old West Reproductions gunleather has been sought after by those who desire the most authentic looking, working gun rigs. To re-create the authentic color, texture, look and feel of his rigs, Bachman uses the best Hermann Oak Leather, tanned in St. Louis, Missouri, just as it was back in 1881. He crafts his leather with original, pre-1900-era tools from his extensive collection of stamp and cutting tools, but if he can’t find the tool he needs, he’ll make his own. Each piece is hand-burnished along the edges and stitching is tight, close-set and straight. His work has been used in several Western movies—including Dances With Wolves, Geronimo: An American Legend and Tombstone—and is coveted by shooters and collectors alike. 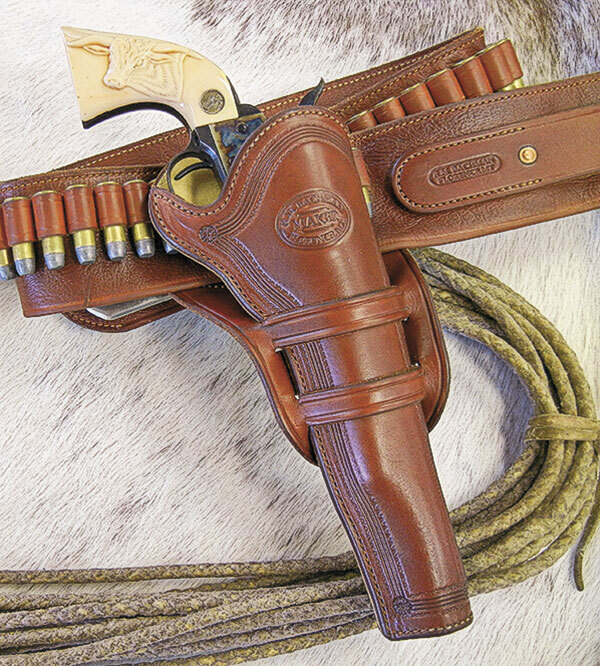 If you are looking for some “new/old” gunleather for your Peacemaker, or other frontier smoke wagon, you can’t do any better than to have a rig crafted by Rick Bachman of Old West Reproductions. I know—I own several. 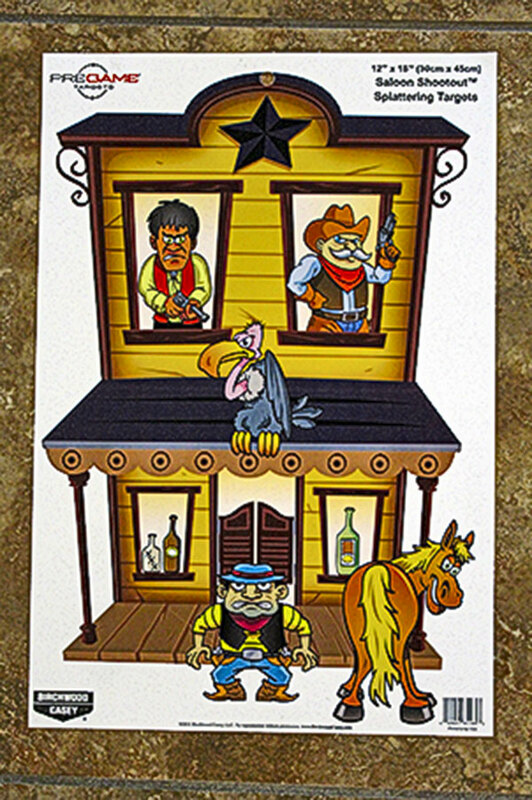 Birchwood Casey offers a colorful set of Single Action Shooting Society (SASS) style targets called the “Saloon Shootout Splattering Targets.” Cowboy Action shooters, or anyone who wants to practice some Old West fun shooting with any firearm or caliber, will enjoy blazing away at the SASS-type comical figures, red eye bottles and other objects that when hit, offer a bright white bullet splatter that allows shooters to immediately see their hits. Each 12-inch by 18-inch target offers up to 99 shots per sheet. Packaged in sets of eight, the targets make a fun training aid for lone shooters, or for a friendly competition with a sidekick. For more information visit BirchwoodCasey.com. Oftentimes, when older Westerns depict wagons or stagecoaches, only one set of wheel tracks are shown. Why is that?